onlinehappyshopping has no other items for sale. 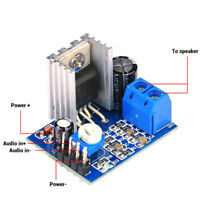 Power: 15W 15 W. Output Impedance: 4-8?. Maximum power:30W 30W. There are 1,403 items available. Please enter a number less than or equal to 1,403. Very good! Quick ship, great service. For the cost of this little amp there is no way you can go wrong. I am using it in my garage powering a pair of bookshelf speakers with a cd player connected. Sound wise it's not bad at all, I hooked it up to my main speakers and was really surprised how good it sounded before it went to the garage. Does it sound as good as a 150.00$ receiver, no but it comes close enough for non critical listening duty say in a sound bar, background music or a garage where mine is. One caution take care to support the terminals when snugging the screws to clamp the wire they wont take much abuse. 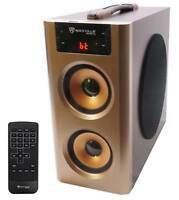 Dpn't expect HD audio or anything close, yet for a simple set-up with small speakers this will do the trick just fine. I ordered two cheap amplifiers to run of a battery-pack, I will use only one in the end to power a retro arcade setup. So far the other amplifier showed slightly better S/N ratio. 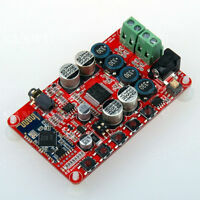 Excellent little board for your workbench project! You can't beat this little stereo amplifier for the money! 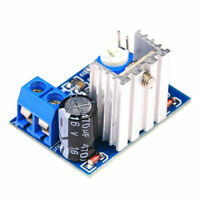 The chip is a TDA7294 and is excellent for this application as anyone who knows these parts will tell you. 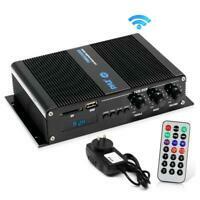 It's found in many home stereo systems in the $100-$300 price range. Really good quality stereo potentiometer on this board and the chromed plastic knob is good also. Good quality PCB and soldering. Really this is a good quality board all the way around around. For the money this is the best amplifier you can get. The heatsink is a bit too large but without it the chip will be hotter than hell. The shipping is not the fastest in the world and the packageing shold be a bit better. Just a note: the solderpads are terrible so do not plan resoldering any components just use it as is. Amp had held up for over a couple months so far. Heat Sink is little delicate, but otherwise everything hooked up and works accordingly. Time will tell if it's still works. Only using about a couple times a week.